Seating is open. Free admission. Bike racks available throughout campus. The lawn may be accessed starting at 8:00 AM on the day of the festival. Bring lawn chairs and blankets. A wide array of vendors will keep appetites happy with everything from french fries and bratwurst to Thai food and ice cream, plus non-alcoholic drinks and smoothies. Restrooms will be available. Dickinson College is a smoke-free campus. Festival is held rain or shine. Get ready for great music! Do you love Bluegrass on the Grass? Become a patron today! We need your support so we may continue to attract the best bluegrass bands in the country to Carlisle’s most-anticipated live music event of the year. It only takes two minutes to make your tax-deductible contribution via Dickinson’s secure giving website at www.dickinson.edu/gift. Simply choose Other on the drop-down menu next to Designation, then write in Bluegrass on the Grass Festival. Fletcher Bright, founding member of The Dismembered Tennesseans, passed away early on Christmas morning of 2017. Fletcher, you were unmatched as a friend and fiddler. Thank you for all you did for bluegrass music and for our Bluegrass on the Grass Festival. It was back in 1945 that a group of McCallie students got together and began singing and playing a brand of Bluegrass music that has gone on now for more than 65 years. The name “Dismembered Tennesseans” seemed good enough a name for a bunch of teenagers who had no long range plans, and they sang their way through school. But somehow the music never stopped, and the band stayed together for the next 65 years, singing and laughing their way across the country – from Florida to Washington to Ohio and Colorado and points between. They played for every local civic group in existence, every charity, and most of the conventions in town looking for cheap entertainment. They have also played at the Annual Chattanooga …Riverbend Festival and at Kennedy Center. The 3 Sisters Festival Bluegrass on the River is held annually in Chattanooga, Tennessee and is a free concert presented by Chattanooga Presents which brings in big-name Bluegrass artists mixed with local talent. 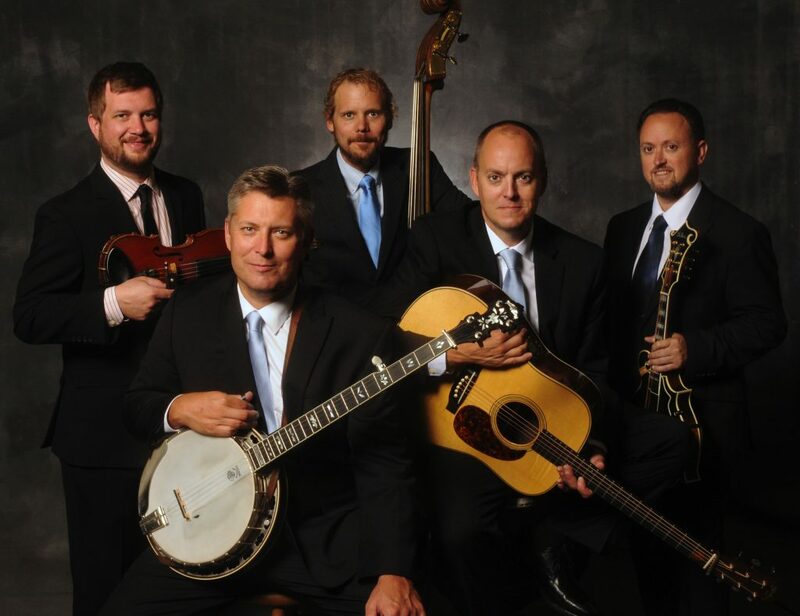 The group has appeared on stage with many of the top bluegrass music stars and has performed in concert with the Chattanooga Symphony Orchestra and the Chattanooga Boys Choir, and more recently the Chattanooga Ballet. They have appeared on a segment of ABC-TV’s Peter Jennings Nightly News and were featured on the NBC Sunday Today Show. Their audiences have been composed of such celebrities as Chuck Yeager, Sam Nunn, Gerald Ford, Jack Kemp, and three Tennessee governors. 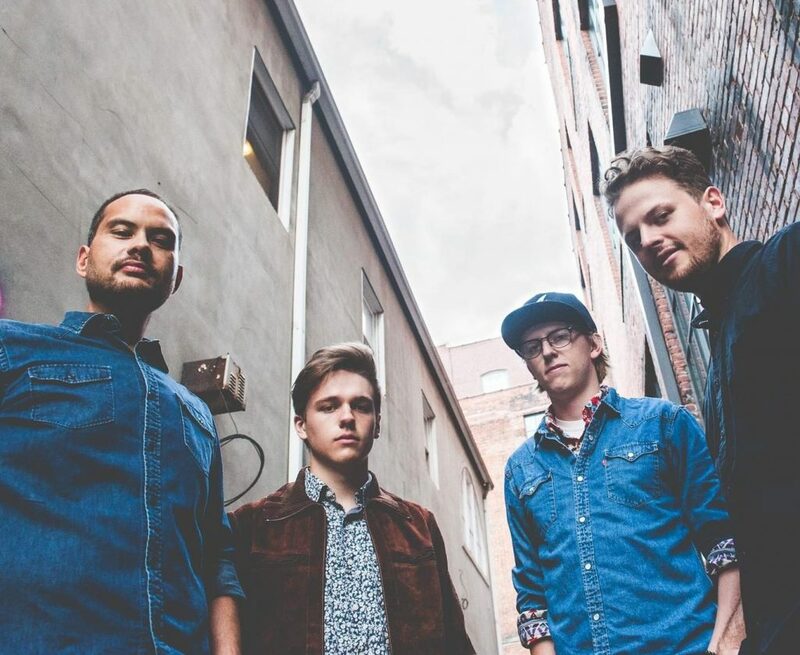 Easily one of the most popular bands in hometown Chattanooga, they have made their mark singing bluegrass music for people who don’t particularly like country music. As they share the stories that drive the songs, FY5’s show leaves listeners certainly with tapping toes, but ranging thoughts as well. FY5 is excited for the release of their 4th full-length album in early 2018, The Way These Things Go, featuring their trademark story songs, clever arranging, and catchy hooks. The band was selected as official showcase artists for the 2017 International Bluegrass Music Association conference including a songwriter showcase with Mike Finders. The Lonesome Ace Stringband brings grit, skill and abandon to old-time, Appalachian folk songs and fiddle/banjo tunes. These are songs and tunes for life and all of it’s occasions: festivals, dances, wars, parties and funerals. The music comes from a tradition that has inspired and brought together generations of people. It’s themes – love, loss, hard work and hardship, faith, and everyday life – speak to everyone. 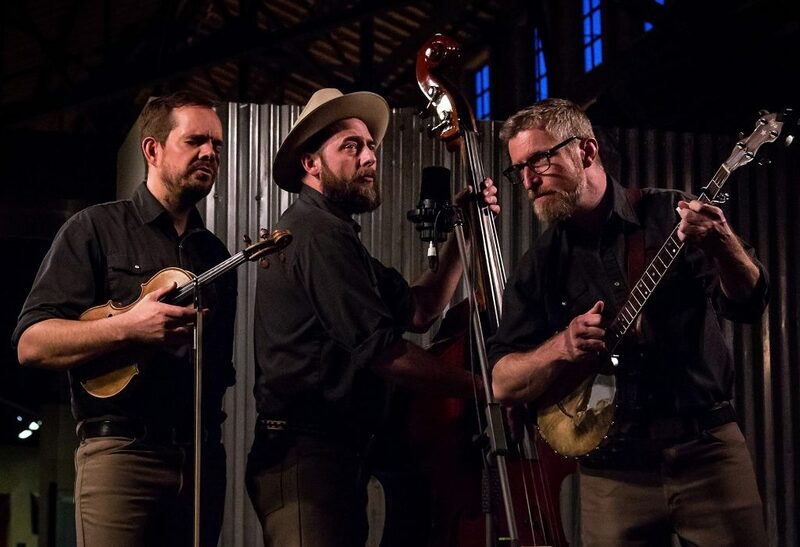 The members are Chris Coole on banjo, John Showman on fiddle and Max Heineman on bass. Together they bring a deep respect for the roots of the music, a keen sense of innovation to the performance and material, and a passion for the sound that transcends both. This is old-time music for today’s old soul. 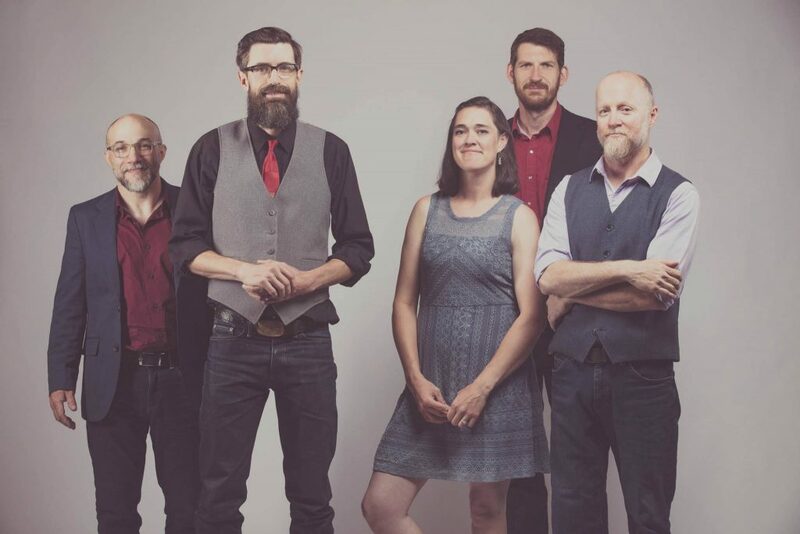 Their debut album, “Old Time”, was recorded in 2014, and was met with critical acclaim from the folk, old-time, and bluegrass community. In 2016, the band recorded their sophomore album “Gone For Evermore”. Heading into the studio, the group’s goal was to capture the feel, energy and narrative of their live playing. Since 2008, LAS has held a weekend residency at Toronto’s legendary Dakota Tavern. Often performing 10 sets of music in a weekend, the band has developed the kind of instinctual rapport, that only comes from seasoned musicians logging many hundreds of playing hours together. Chris Coole is a cracker-jack banjo picker who has been on the old-time and roots music scene for going on 20 years. He has taught at banjo workshops and camps internationally. Coole has released several albums under his own name and with the Foggy Hogtown Boys as well as numerous collaborations with a variety of great roots musicians including Arnie Naiman, Erynn Marshall, Ivan Rosenberg and David Francey. His vision, musicality and great knowledge of the music are the driving forces of “Old Time”. John Showman is known as one of Canada’s finest fiddle players, a strong and versatile musician best-known for his work with the Foggy Hogtown Boys, New Country Rehab and Creaking Tree String Quartet. His love of traditional fiddle music is palpable everywhere on “Old Time” and he brings the music to life with inspired playing. Max Heineman’s powerful and unique voice carries the listener straight to the heart of the music, with a timeless quality entirely his own yet one that hearkens back to the classic folk and country singers that have shaped the style. His bass playing supports and compliments the music expertly, both driving the rhythm and gliding right along with the melody to give the trio it’s distinct sound. He is well-known for his playing and singing with the Foggy Hogtown Boys. 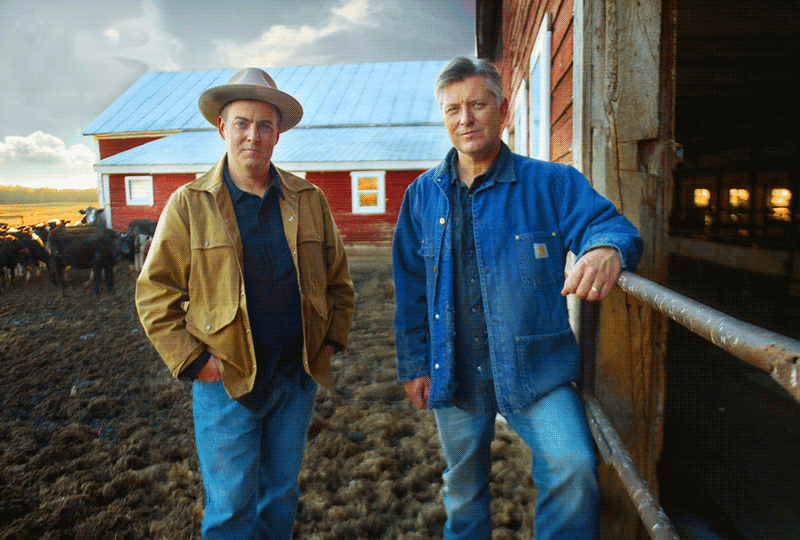 The Gibson Brothers were voted 2013 Entertainers of the Year at the IBMA World of Bluegrass 24th Annual Awards Show in Raleigh, N.C. for the second year in a row. We also won the Vocal Group of the Year, Song of the Year (“They Called It Music”) and Eric was named the Songwriter of the Year. Help My Brother, our tenth album, won the prestigious 2011 IBMA Album of the Year Award.We were named the 2011 IBMA Vocal Group of the Year, the first time a brother duet has won this award. Help My Brother held the #1 position on the Bluegrass Unlimited Album chart for 8 months. It definitely had staying power, with songs charting on the BU Top 30 more than a year after its release. In July 2014 we signed with Rounder Records, a label we always equated with quality. Our first release on the label, Brotherhood, is an homage to the brother duos that have inspired us since childhood. We chose fifteen songs from country, bluegrass and early rock ‘n’ roll brother acts including some who will be familiar to most listeners, such as Phil & Don Everly, Charlie & Ira Louvin, Jim & Jesse McReynolds and Carter& Ralph Stanley. Brotherhood also features covers of songs recorded by some lesser-known acts, including the Blue Sky Boys, the Church Brothers and the York Brothers. We also look forward to contributing to the music we love for years to come. Music’s brought us a lot of interesting experiences and many friends. We truly appreciate every one of them. We’ve been very fortunate to be honored by our peers several times. And each time our thoughts are back home with the people who helped us get there.